LSK's Equipment Rental fleet is one of the strongest in the industry. Our product line includes everything from hand operated ice edger's to full size ice resurfacers. When you need equipment and want quality and service, contact our rental team. This is why LSK's Ice Resurfacer Equipment Rental has been committed to providing premier service for over 18 years. 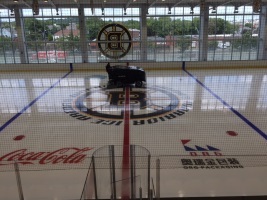 Ice Resurfacing Equipment is available for Daily, Weekly and Monthly rates. We deliver and pick up the equipment and provide the basic operating instructions to your staff. LSK's Ice Resurfacer Equipment Rental products must meet or exceed a general service program, which includes regularly scheduled maintenance to ensure reliable performance. We offer 24-hour emergency service, protection against equipment break down. With mobile service teams, along with the resources to deliver, maintain and support the equipment we put into the field, LSK's Equipment Rental Department stands ready to Help with your Ice Resurfacing needs. What equipment are you in need of ? Please list special instructions here.